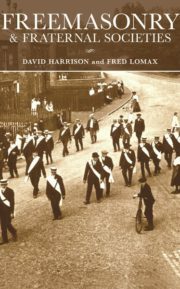 In recent times the aims of Freemasonry and its ritual has changed. The ritual is purported to no longer disclose any 'hidden' elements, there is nothing to 'reveal', indeed, the ritual appears to have made everything clearer; the individual, the Freemason, is now seen merely a principled person par excellence, whose sole aim is to do good and set a good example. It's now only increasingly rare individuals who behold something of a deeper nature in our Masonic ritual and teachings and are often considered as somewhat eccentric or individuals or 'fantasizers'; to be charitably tolerated as long as they do not overstep the mark with their fantastical interpretations. 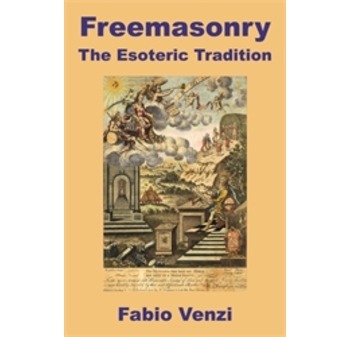 From a metahistorical point of view, the true ‘figure’ of the Freemason will be portrayed as a sort of ‘Archetype of Enlightenment’,which is clearly recognisable and presented in the western tradition throughout history. From the Epoptes of the Eleusinian Mysteries, to the Hermetic of the first centuries B.C. ; from the Magician and the Neoplatonist of the Renaissance to the Rosicrucian; from the Alchemist to the Freemason, the same goal of, an individual featuring a series of common characteristics and, in particular, a similar ‘vision of the world’, is manifested cyclically in specific historical moments. Thus, the “Initiate” is representative of a human figure cyclically presented under different ‘guises’, all bearing essentially similar symbolic characteristics; as the Hermetic carries out his work in the search for an absolute purity, and the Alchemist focuses on his ability to achieve, from an imperfect and impure matter, a perfect substance capable of transmitting this perfection to other substances, the Freemason represents a roughly hewn stone that will need to be smoothed by means of an concerted inner effort. It should however be underlined that both the alchemical procedures and the undertaking of the Masonic and hermetic pathway are performed in the presence of the transcendent, the hermetic, alchemical and Masonic initiatic journeys will never be achieved as the result of a theoretical or experimental knowledge, but, on the contrary, represent the outcome of an endeavour, an opus, in which the spirit is returned to the matter, animating and ennobling the same. 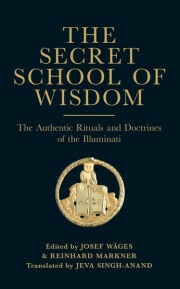 This book charts the pathway of the true masonic initiate. The term “Initiate” is applied to an individual featuring a mandatory and essential ‘qualification’, i.e. a ‘predisposition’ to embark on a pathway of gnostic development that culminates in an authentic ‘transmutation’, which may even be detached from the strictly ‘ritual’ connotation of ‘initiation ‘. The end of the Initiatic Schools, with their binding thread of the ‘secret’ and ‘mysteries’, is marked by a return to awareness of the divine nature of an individual (or, as Jung would say, the rediscovery of Self and the achievement of an integrated personality). Indeed, although the premises and doctrines of these Schools appear to diverge somewhat, in line with the differences encountered in the historic contexts in which they take place, their symbology and principal aims evolve into a form and tension unwaveringly focused on the ‘Transcendent’, in an attempt to obtain a reprieve, a return to an entity ‘lost’ over time. This arduous journey is obviously not suited to all, and can be achieved only by minds free from superstructures and opinions, uncorrupted, and above all, unconditioned minds. The ideal type of “Initiate” requires no ideological support to enable him to manifest his innate ‘freedom’ and ‘originality’ and is concomitantly, thanks to this singular feature, qualified to survive in and endure even the most oppressive historic context. This particular type of human elaborates arguments at a deeper and higher level, having achieved total inner freedom. 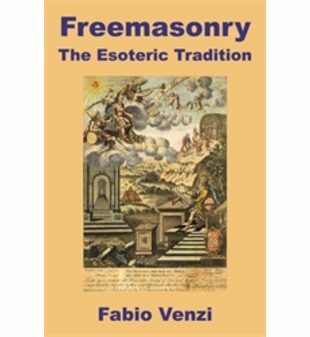 This book is not only a manual for those who are undertaking this path and covers all aspect of the work involved in being a Freemason including ritual, philosophy and symbolic work. 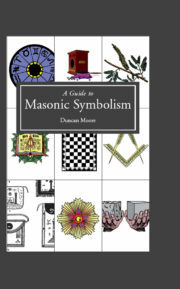 Its also a enthralling exploration of Masonic esoteric philosophy past present and with visions of what it could be in the future for those that believe the initiatic potential of Freemasonry is still conspicuous, and conceivably primed for ‘activation’; although, to achieve this aim, several fundamental transformations would need to take place both internally, and, more importantly, among the higher ranks.